HUD is making homeownership more affordable for millions of Americans with its plan to cut the mortgage insurance premiums new borrowers will pay. The announcement of a .50% rate drop was projected to spur 250,000 new first-time home buyers to get FHA loans during the next three years. HUD is making homeownership more affordable for millions of Americans with its plan to dramatically cut the mortgage insurance premiums new borrowers will pay. Since 2010, insurance premiums on FHA-backed mortgages have jumped to 1.35%, pricing hundreds of thousands of creditworthy borrowers out of the housing market. The Obama administration’s announcement of a .50% rate drop is projected to spur 250,000 new first-time homebuyers to get FHA loans over the next three years. This would add to the approximately 800,000 households who use FHA annually. FHA’s premium reduction took effect for mortgages with case numbers assigned on or after January 26, 2015, and did not affect loans that had already closed. Julián Castro, Secretary of the Department of Housing and Urban Development (HUD), said the reduction will save the average borrower $900 annually. "Since 2009, the Obama Administration has taken bold steps to reduce risks in the mortgage market and to protect consumers. These efforts have made it possible to take this prudent measure while also ensuring FHA remains on a positive financial trajectory. By bringing our premiums down, we’re helping folks lift themselves up so they can open new doors of opportunity and strengthen their financial futures." The increases that took the rate to 1.35% were implemented to stabilize the health of FHA’s Mutual Mortgage Insurance Fund (MMIF). A byproduct of protecting this fund was that it eliminated “a lot of the people that FHA is designed to help, and that’s the lower-income and first-time buyers,” said Chris Polychron, the president of the National Association of Realtors. Loans backed by FHA are popular because the FICO score requirement of 580 is lower than what is required for conventional mortgages and the down payment can be as low as 3.5%. 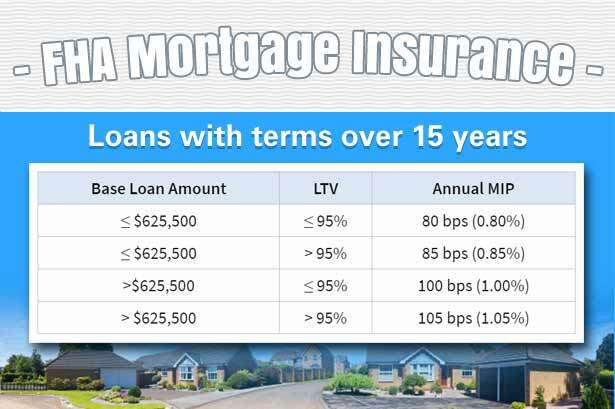 The lower mortgage insurance premium will increase its appeal as these rates move towards pre-crisis levels. Mr. Castro emphasized, however, that underwriting standards would not be relaxed. Buyers must still demonstrate their ability to qualify for a mortgage and pay it back on time.